Rick Grimes may be gone, but his legacy lives on. 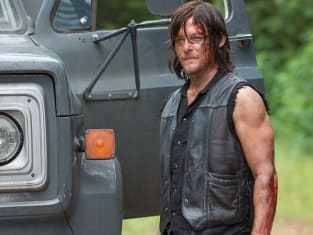 While the manner in which Andrew Lincoln departed The Walking Dead has been met with mixed feelings, "What Comes After" was without a doubt one of the best episodes this series has churned out throughout its entire run. The series may have bid farewell to Rick Grimes, but Andrew Lincoln is far from done with the character. 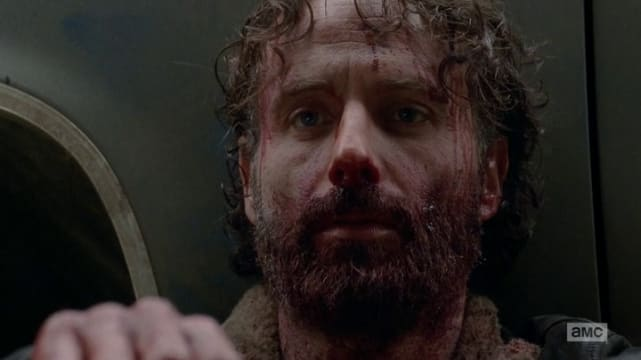 And while we will have a bit of a wait for the first of AMC's Rick Grimes films to hit our screens, let's honor the character that we've been behind from the very beginning by checking out the most epically badass Rick Grimes moments! 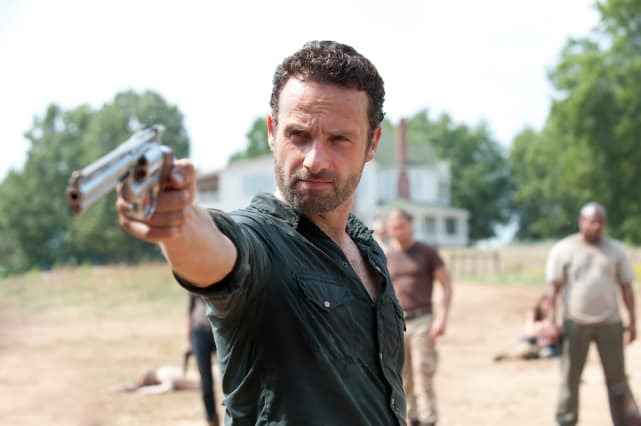 You can relive these moments and watch The Walking Dead online right here at TV Fanatic. Following Shane's rampage of mowing down the walkers kept in Hershel's barn, the moment Sofia shuffled out left the survivor's -- and viewers -- in utter shock. Rick was the one to step up and do what no one else could at that moment and put down Sofia. It was one of the more emotional moments in the series to date, and one of the first most difficult decisions Rick had been forced to make. 2. "I Hear Nebraska's Nice." 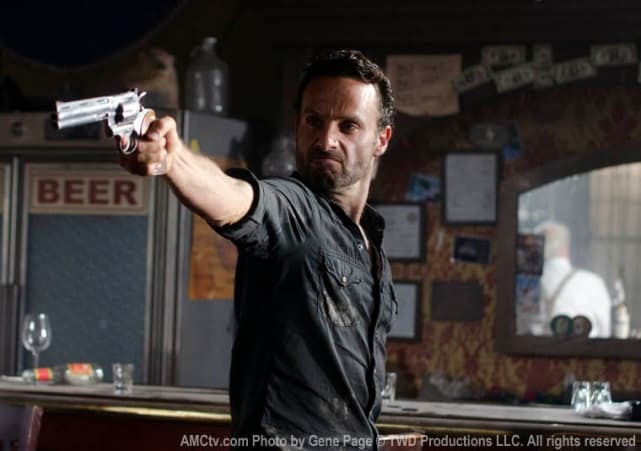 Rick was forced to kill Dave and Tony in the bar during the Season 2 midseason premiere in order to prevent the dangerous group from discovering the location of the farm. It was an all-around tense scene and it marked the first moment where Rick was forced to do what was necessary to survive and protect those he cared for. 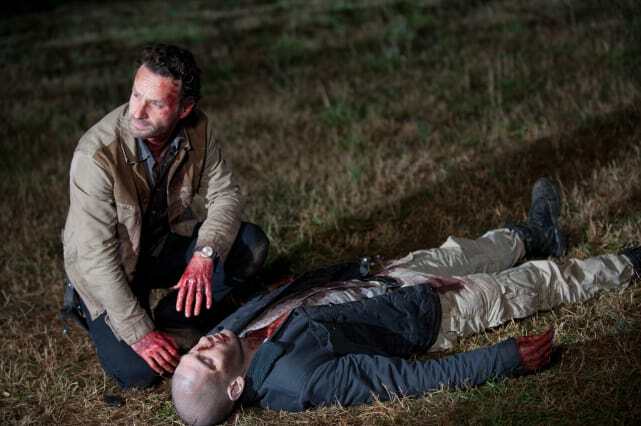 After Shane went off the deep end, Rick was forced to kill his best friend in order to protect his family and the rest of the group. It was the most difficult decision Rick had been forced to make up to that point, and had numerous ramifications, as he began to embrace the "kill or be killed" mentality. After the group began clearing out the prison to make their new home, they quickly discovered that walkers weren't the only threat behind its walls. Most of the prisoners seemed harmless, except for Thomas, who attempted to undermine Rick and deliberately put him in danger on more than one occasion. Realizing the danger that Thomas posed to the rest of the group, Rick was forced to plant his machete right through the inmate's noggin. Season four was an emotional one for Rick as he gained a daughter but lost his wife. 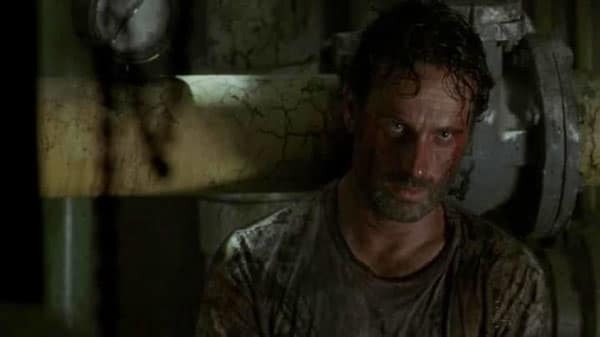 The shock and realization of Lori's death sent Rick into a frenzy as he maniacally ran through the prison dispatching every walker that crossed his path, and almost taking out Glen in the process. 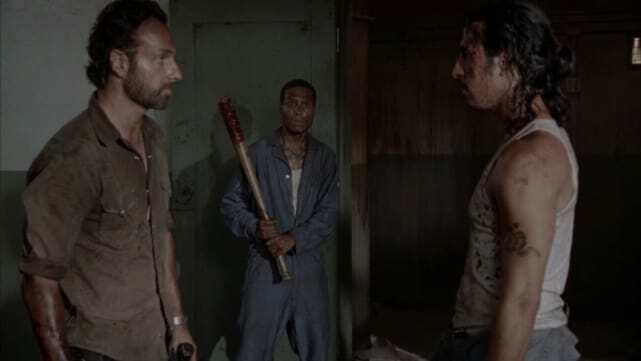 After having a run-in with the Claimers, Rick found himself in a helpless situation as he was about to watch Daryl get beaten to death and worse done to Michonne and Carl. While being held in a bear hug by Claimer Joe, Rick ended up doing the only thing he could think of at the moment and ripped out a chunk of Joe's throat with his teeth. If that wasn't gnarly enough, Rick then proceeded to gut Claimer Dan with Joe's own pocket knife. It was an absolutely brutal moment but also an immensely satisfying one. The Walking Dead Season 6 Episode 9: "No Way Out", The Walking Dead Season 2 Episode 7: "Pretty Much Dead Already", The Walking Dead Season 2 Episode 8: "Nebraska", The Walking Dead Season 3 Episode 4: "Killer Within", The Walking Dead Season 3 Episode 5: "Say the Word", The Walking Dead Season 4 Episode 16: "A", The Walking Dead Season 5 Episode 1: "No Sanctuary", The Walking Dead Season 5 Episode 3: "Four Walls and a Roof", The Walking Dead Season 5 Episode 8: "Coda", The Walking Dead Season 7 Episode 8: "Hearts Still Beating", The Walking Dead Season 8 Episode 4: "Some Guy", The Walking Dead Season 8 Episode 12: "The Key", The Walking Dead Season 8 Episode 16: "Wrath", The Walking Dead Season 9 Episode 5: "What Comes After"